Why Can't Indians Travel Like Other People In The World? High Life Humour Why Can't Indians Travel Like Other People In The World? Why Can’t Indians Travel Like Other People In The World? Let me put my personal concern. I get 15 paid leaves in the year that get utilised in personal stuff , some relative is hospitalised or a wedding on a weekday and so on. We, Indians, are very much engaged in our office work that we do not get enough time to spend such 1-month holiday on a trip to abroad. We send a mail for the approval to seek us a 1 month holiday but what reply we get from the other end is, ‘why do you need these many days?‘ Therefore, we Indians are restricted to such busy schedules that we do not get enough time to make it to the abroad trips. The question is Whenever we met people (non-Indians) on a trip, they always have plans for at least a month while we managed to make plans for few days only. Let me clear that the non-Indians, i.e. the Australians, Germans etc. , They are grown up in a society that promotes individuality and freedom. As far as the Indian Culture is concerned, we are taught to study, acquire job and marry your better half and spend the life with him/her. Our society doesn’t match the mindset of the foreigners. 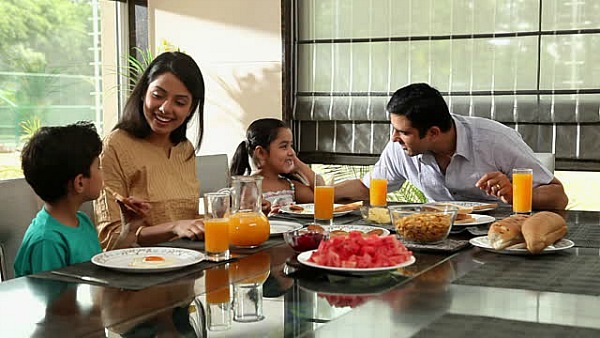 Indians are normally family loving people who like to invest their energy with the family rather than spending holidays way away from their homes. They prefer to spend with family and barely travel alone. Your children are too restricted to go to the schools and Your better half wants to stay with your youngsters as opposed to going with you. Further, when you get some freedom, you wish to visit your more separated family like guardians, relatives and in-laws as opposed to going out to some new area alone. My parents saw a lot of troubles to get me here, I am compelled to repay them. You are in your late twenties or maybe early and you have pressure to get settled and make money and have kids because your parents want you to be happy and that is a way to be happy! Am I right? We Indian are bound to fulfil our responsibilities and such psychological mindset opposes us to travel such long trips. If I talk about my generation, we grew up in a time when parents were working in govt sector and we just rarely made to the middle class. How many of us can afford to stay in hotels for such long period and pay for the air-fare.? Expenses are one of the major factors that prevent Indians to take long tours abroad.